I wonder where this was. Would this be at one of the suppliers factories? Hap can you tell which one? I am not convinced these are Model T bodies under construction. First note that the body tilted sideways in the background has a left front door that opens. 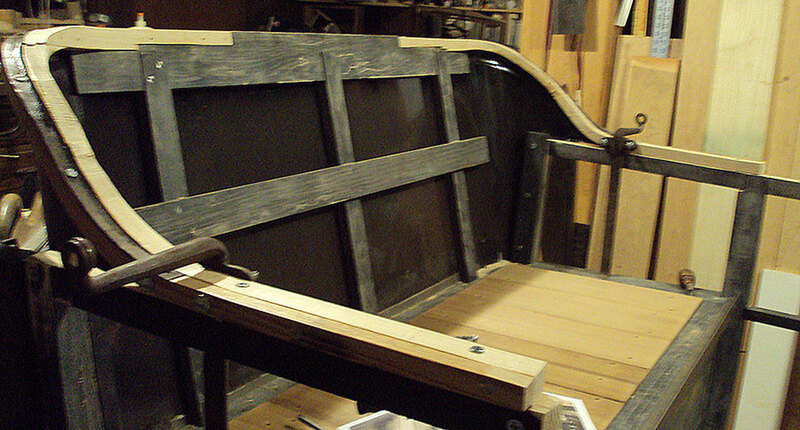 Second, note that there are top socket irons at each side of the front seat instead of arms to support the top bows. Third, there is a wood corner brace present at the left rear side of the front seat. This is not a characteristic of 1914-1921 Model T touring bodies. Close but no cigar. I think these bodies are for another automobile manufacturer. Maybe Dodge? Are you sure these are Ford bodies?? Doesn't look Ford to me. I don't think it is Dodge. I don't think it is Buick or Maxwell. Maybe Overland? Or Chevrolet? Of course, there were about a hundred significant producers of small to midsize automobiles between 1912 and 1915 which looks to be the approximate year range. I wish we could see the firewall/cowl area better. One of the biggest clues is the two man top. Many cars were switching to one man tops about 1914/'15. I like the wiring hanging from the ceiling. It looks like a good place for a fire! with my old eyes and posted. I'll leave now. Note the construction on that front body. Ford didn't make them that good! I don't think it's Dodge Brothers either. 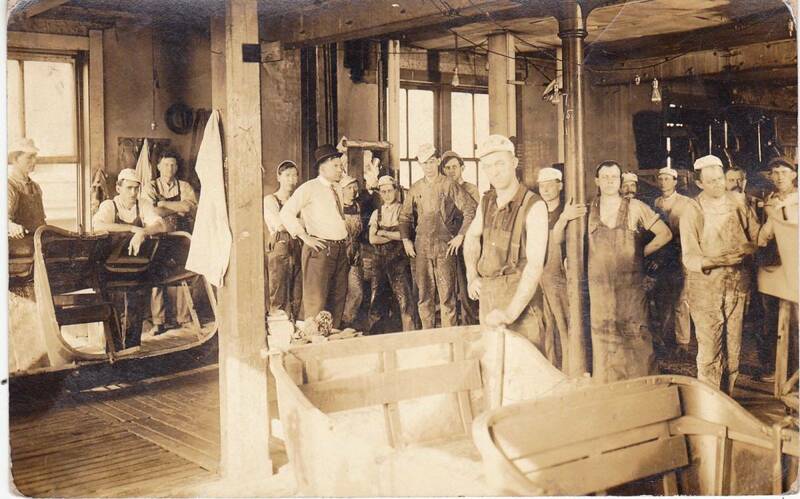 Unless I'm mistaken, Dodge Brothers used Budd All Steel Bodies from the beginning. Very similar to a Ford but heavier. Maybe Fisher. Rich,bottom picture is built like my Hays body.